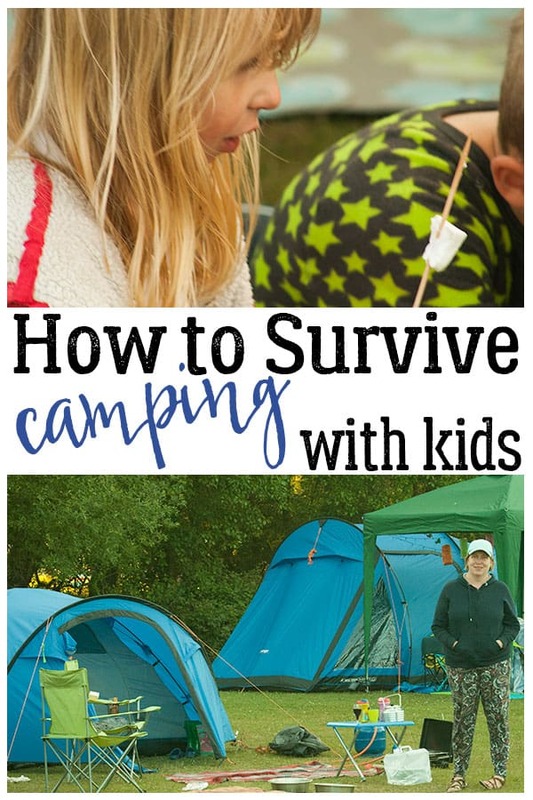 As a family we love camping, the kids enjoy the freedom that they have to explore the campsite with their friends and as a family, we can explore more areas without breaking the bank. Once you have everything packed make sure you add in a few extra supplies because if it starts to rain you’re going to need ways to keep the kids entertained in the tent so here are some ideas of activities that you can do when the heavens open and you need to keep the kids happy on a rainy day whilst you are camping as a family. 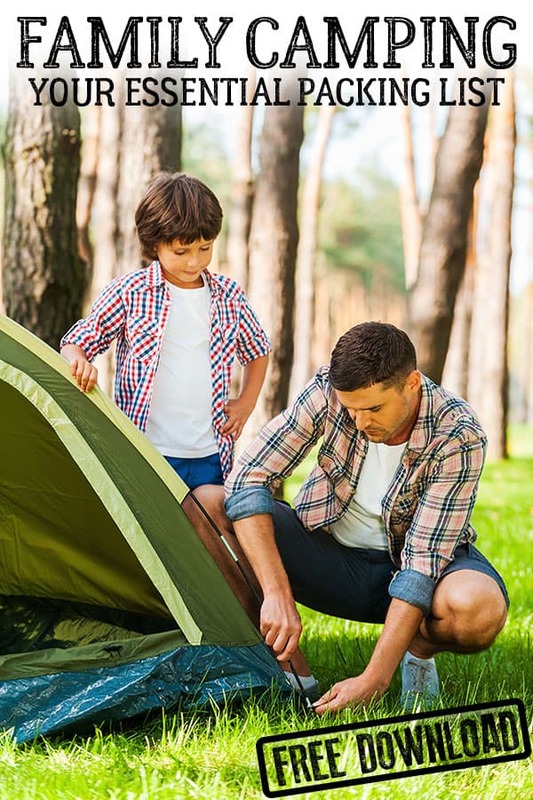 Click through to find the full instructions and materials you need for each of the activities as add them to your packing list for this year’s camping trip so that you are fully prepared for when the heavens open on your next Family Camping Trip. Pack some contact paper (sticky back plastic) alongside tissue paper and some art supplies and equipment and create some sun catchers like these hot air balloons. Perfect for decorating your tent or caravan when the sun comes out again. Marshmallows aren’t just for roasting on the fire check out this fun Painting with Marshmallows activity from Fun A Day. The kids will love making the art although I wouldn’t advise eating the marshmallows afterwards. ​30 Recipes that the whole family will enjoy! Get organised, meal plan and eat delicious food that THE WHOLE FAMILY will enjoy on your next camping trip. Save time & money as with these 30 DELICIOUS recipes that you can download, print, laminate and cook. Find out more and Purchase the Ebook HERE! 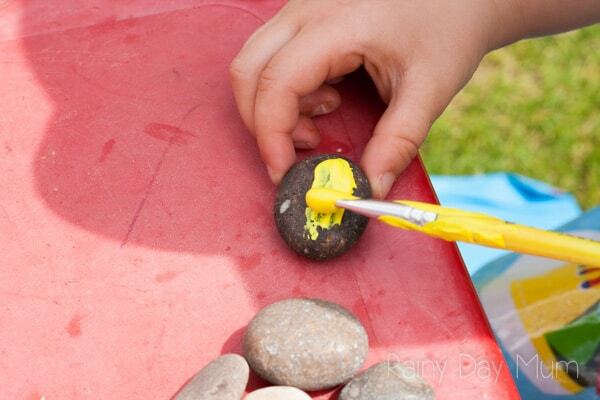 Paint some stones with the leftover paint from the marshmallows – or if you have some why not pack some glow in the dark paint and use that to create some glow in the dark patterns to easily find your tent in the dark. Simple activities that are dual purpose are fantastic these Felt Travel Activities from Party Through the USA reminds me of the fuzzy felts that my parents used to take on trips with us. But these are DIY! PERFECT to inspire you to create your own. It’s raining so why not try Painting with Rain from Nurturestore it’s a fun and easy way to paint and with some wet weather gear the kids will love splashing around and creating the art at the same time. Get artistic with the kids and create a Handprint Campfire like this one from Fun Handprint Art. I love the song that goes with it and would be perfect to teach the kids to sing for when the rain stops and you want to light the fire again. If your campsite is surrounded by trees then send the kids out for a bit in the rain to gather some leaves and enjoy some Leaf Rubbing head over to Sixth Bloom and get the download before you head off camping and create a mini book to take away with you. Always better to be prepared! 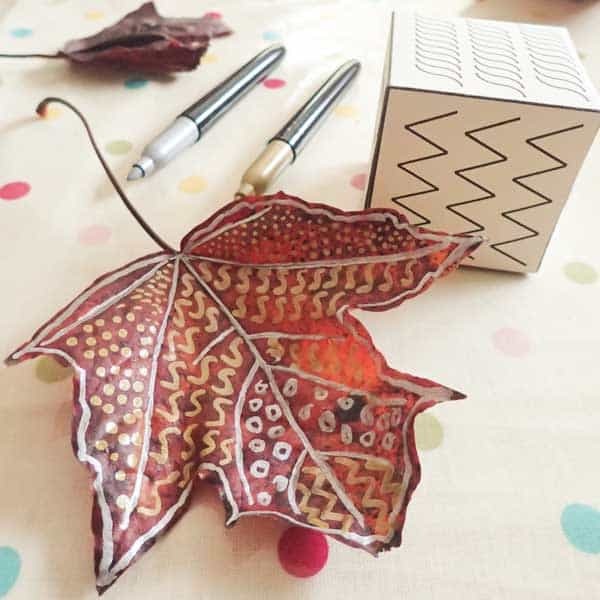 Although we did this in the autumn it works just as well on green leaves so save some of those leaves from your leaf rubbings and get artistic on them creating some Leaf Art Patterns. We always take some books away with us camping but last year I discovered this list of Books to Read by Flashlight over on Fun A Day! I got one of the books and last year we sat in the dark in our tent in the rain reading one of them and it was fantastic!!! 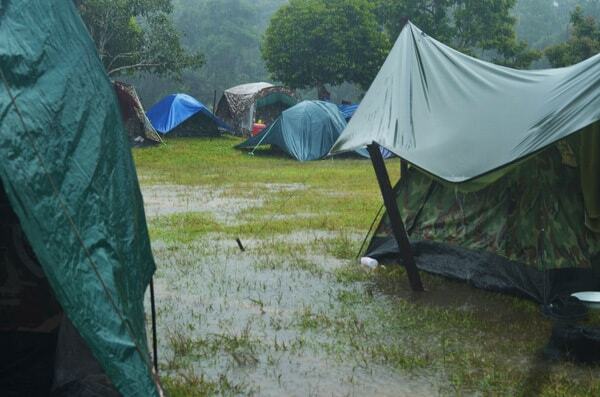 Although there is a temptation to stay in the tent especially when you think of the drying of the wet weather gear. The kids will need to use their energy up. 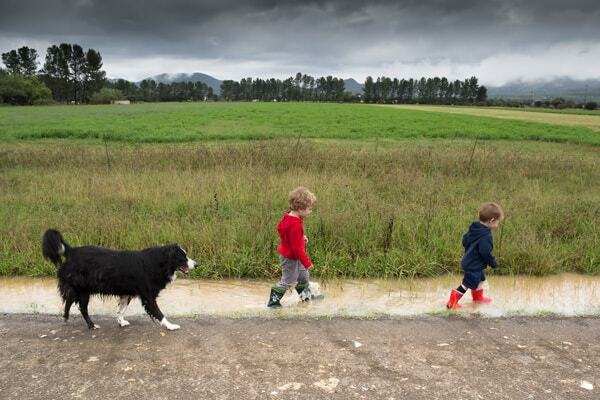 So put on the wet weather gear, head outside and be inspired by some of these ideas to Play In the Rain from Rhythms of Play. We always stock up on canned food when we head out camping – mainly because we go electric free so it’s easier to store if you have young kids then use these to play. I love this idea for Canned Food Blocks from Hands-on as we Grow. It will do you good to get out in the rain as well so head out on a Rain Walk with Kids like Still Playing School it’s amazing what difference the rain makes to the animals that you can find and the way that nature looks. Make these Camping Story Stones from Ruffles and Rainboots to take with you before you head out camping and you and the kids can sit there under torchlight and create your own camping stories – will yours be a fun story or maybe a ghost story to scare everyone else. 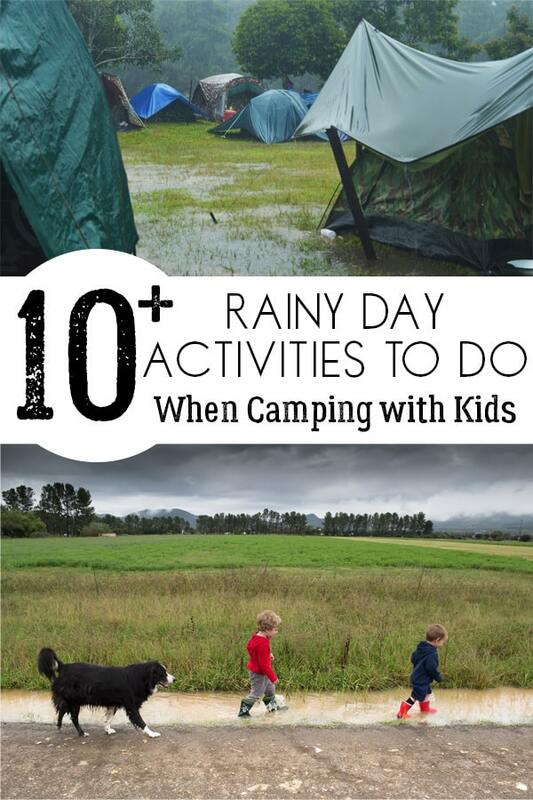 If you are looking for more inspiration many of our ideas from our 101 Rainy Day Activities to do with Kids will work in the tent as well. 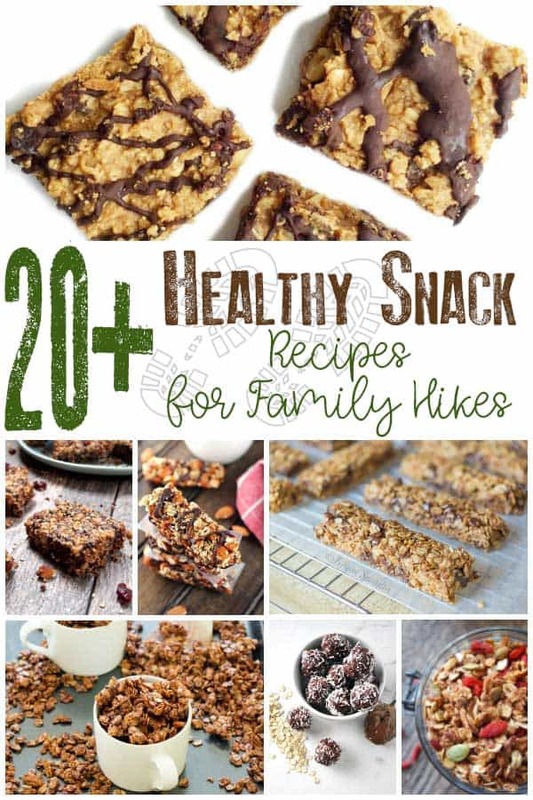 Healthy Snack Recipes that you can prepare ahead for taking camping with you. 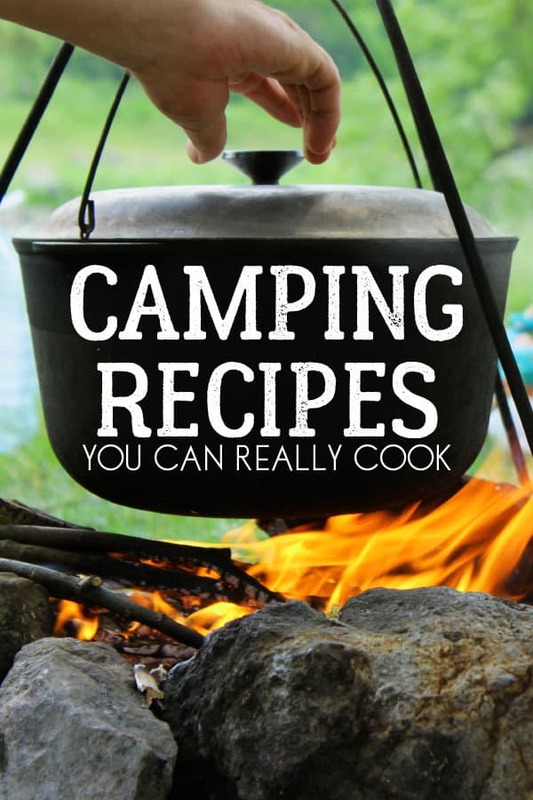 Delicious Camping Recipes your Can Really Cook and the Family will Love. 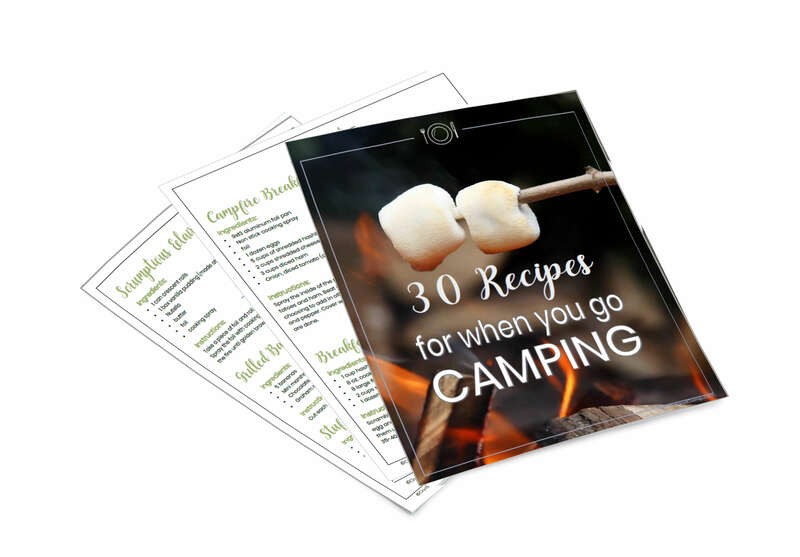 No camping trip is complete without S’mores and over on 3 Boys and a Dog you can find Over 30 SWEET S’mores recipes to try. Solving all of our camping issues Crystal and Co has this amazing list of Camping Hacks – you have to try the bug spray it’s almost as good as the one that I used to use when living in Costa Rica but much nicer on the skin! I always love camping in the rain. Thanks for sharing some great ideas. I must try some.